How Can Caffeine Help a Senior's Brain Stay Healthy? Caffeine is a great way for seniors to stay alert and focused. However, it also has a number of long-term mental benefits. Moderate caffeine consumption may even protect seniors from the onset of dementia and Alzheimer’s disease. Encouraging your senior loved one to regularly drink beverages with caffeine can result in a surprising number of benefits, and Guelph elder care experts want to share a few with you. A moderate amount of caffeine can help increase your loved one’s long-term memory. This is because the caffeine boosts the brain’s consolidation process, which can help him or her retain information for longer. However, too much caffeine can make your loved one feel anxious, which impedes the formation of long-term memory. Brain inflammation can lead to cognitive decline in seniors. Caffeine blocks unwanted inflammation and helps delay the onset of Alzheimer’s disease. Drinking a few cups of coffee every day may even be beneficial if your loved one is already showing signs of Alzheimer’s. 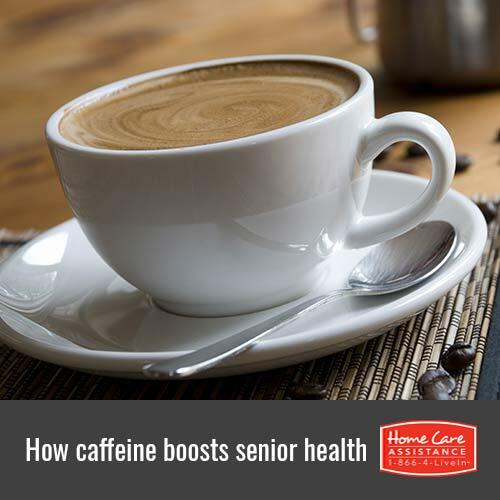 When seniors regularly consume caffeine, their insulin sensitivity often increases. This reduces the chance of developing diabetes. Because type 2 diabetes and Alzheimer’s are closely linked, the additional insulin sensitivity can also decrease your loved one’s chance of developing Alzheimer’s. When scientists studied the brains of people with Alzheimer’s, they noticed a trend. Many people with cognitive impairment had unwanted protein built up in the brain. This protein, called tau, may be responsible for the death of brain cells. Caffeine helps counteract this buildup by blocking the processes that lead to harmful tau protein. When your loved one drinks a caffeinated beverage, the caffeine goes directly to the central nervous system, effectively boosting brain activity. This can lead to enhanced muscle coordination and increased cognitive awareness. Regularly drinking a moderate amount of coffee or tea can give your loved one a mental boost throughout the day. Though caffeine may be helpful on some level, a more reliable way to ensure your loved one’s brain remains healthy is to hire a professional caregiver. At Home Care Assistance, our caregivers are trained in the Cognitive Therapeutics Method, an activities-based program specifically designed to help seniors with memory-related conditions. In addition to dementia and Alzheimer’s care in Guelph, we also offer comprehensive care for seniors with Parkinson’s and those who have experienced a stroke. 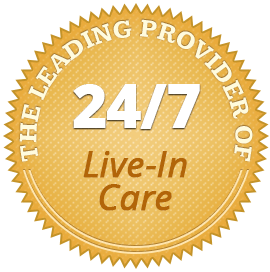 For more information on our elderly care services, call one of our experienced Care Managers at (519) 954-2111 to schedule a complimentary in-home consultation. Can Using Hearing Aids Promote Brain Health? What Type of Mobility Aid Does Your Elderly Loved One Need?